We offer a suite of qualitative and quantitative tools to help you solve real business challenges. Our research is grounded in the principle that emotion is at the heart of consumer behavior. That’s why we developed LoveQuotient®. increasing the emotional connection between consumers and brands. 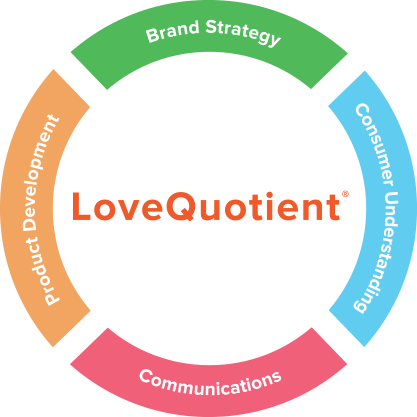 For us, LoveQuotient is more than just a methodology – it’s a philosophy we apply to our many capabilities. time tabulation of data for qualitative research. build relationships and lead to desired behaviors. to help your brand integrate into their lives. Measures the emotional response to your creative, utilizing proprietary technology and engagement exercises that tap into the underlying emotional connection, applicable to TV concept and pilot testing as well. Explores feasibility of new products and strategic partnerships utilizing our emotional brand elasticity module. align with consumers’ emotional and rational needs.